Home • More Magic • 7 Unique Christmas cultures from around the world! 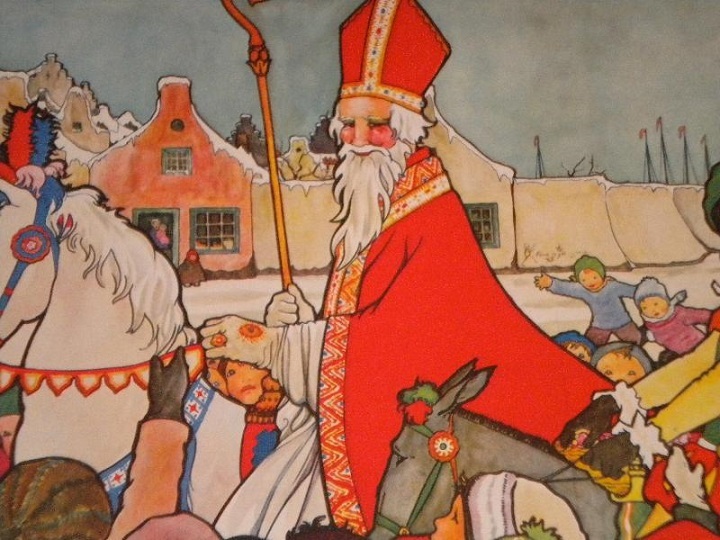 On the 6th of December, Nikolaus (not to be confused with Father Christmas), travels by donkey in the middle of the night, leaving chocolatey treats and toys in the shoes of good children all over Germany. St. Nikolaus also visits schools and in exchange for small gifts, children write him poems, sing songs and draw pictures. St. Nikolaus sometimes brings along his attendant, Knecht Ruprecht (Farmhand Rupert), who dresses in dark clothes and has a sooty face from climbing down the chimneys to leave gifts for the nice children. He also carries a stick to punish the naughty children. 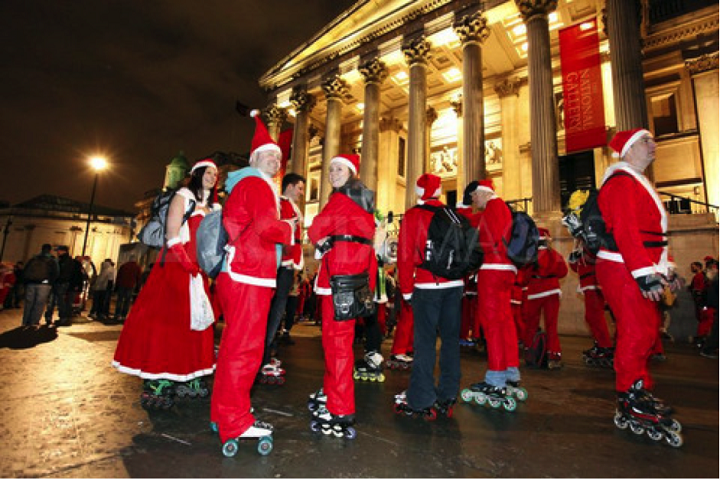 In Caracas, Venezuela, the city's residents head to church on Christmas Eve...on roller-skates! This church and roller-blading combo is so popular that many of the roads across the city are closed, enabling the residents to skate to church safely! After the service, the residents return home for an unusual Christmas dinner, consisting of tamales - a steamed cornmeal dough wrap, stuffed with meat. 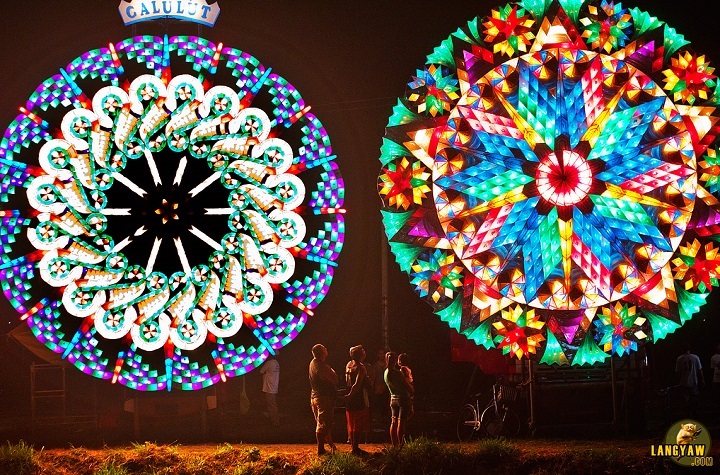 On the Saturday before Christmas Eve, the city of San Fernando in the Philippines, hosts the annual Giant Lantern Festival. The festival attracts spectators from all over, but the participants are the local people, who take it very seriously and compete to build the most elaborate lantern. Originally, the lanterns were made utilising Japanese origami paper and a single candle, however, nowadays the lanterns can be as big as 20 feet in size, illuminated by electric bulbs. which sparkle in a variety of kaleidoscope colours and patterns. Christmas is not a huge deal in Japan. There may be some gift-giving and impressive light displays, but other than that Christmas in Japan remains largely a novelty. Nevertheless, in recent years a new (and unique) Christmas "tradition" has come to light - Japanese families will tuck into a Kentucky Fried Chicken Christmas feast! 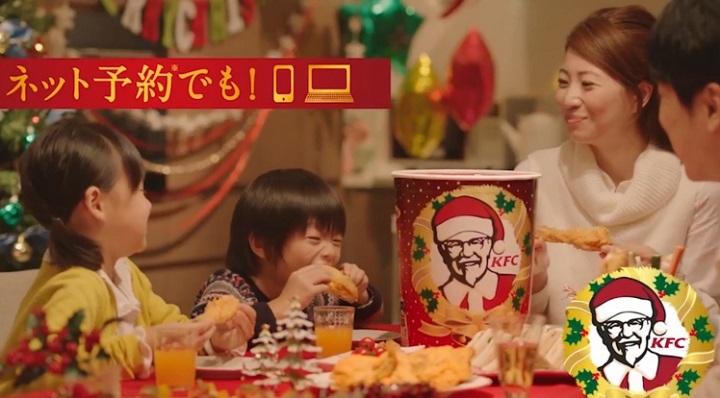 During the festive period, there is a special Christmas menu displayed on the Japenese KFC website and people can order anything, from your classic bargain bucket to a whole roast bird! 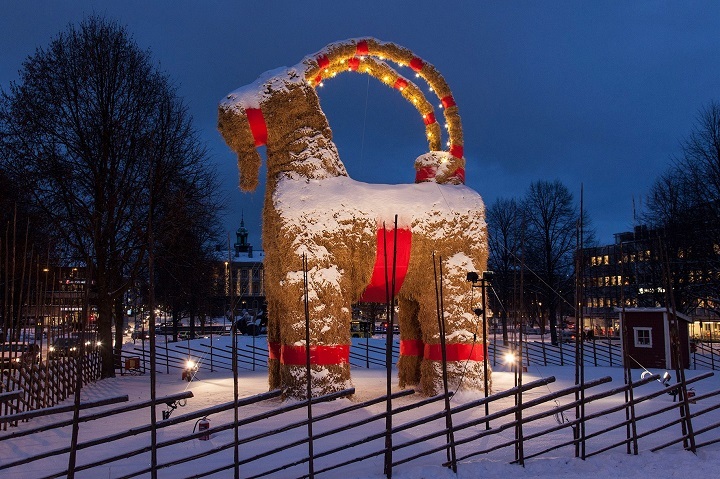 Since 1966, in celebration of advent, a 43-foot-tall Yule goat has been built and erected in the centre of Gävle's Castle Square, Sweden. Just as the locals celebrate the construction of the goat, many locals attempt to burn the goat down, which has given rise to a new "tradition", wherein people actively try to burn the goat to the ground! In the goat's 48 years, it has been successfully burnt down 26 times, with its most recent burning in 2013. 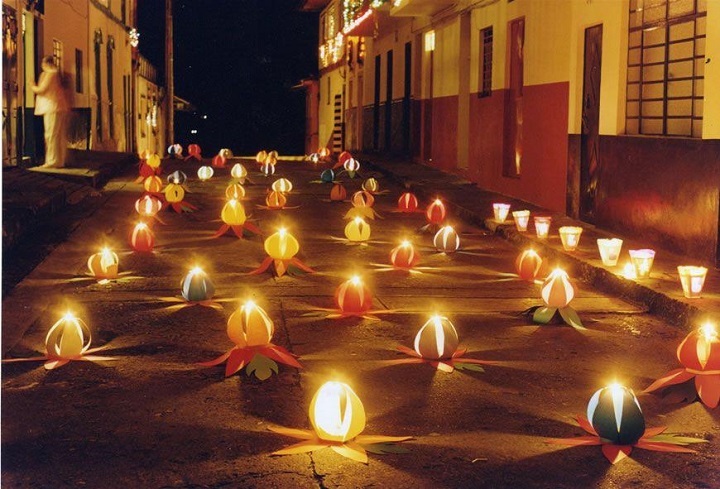 The Day of the Little Candles, Colombia, marks the start of the festive season. Local people display candles and paper lanterns on their properties to honour the Virgin Mary and Immaculate Conception. The tradition has spread, meaning that entire towns and cities across the country are adorned with beautiful lights and lanterns. Some communities compete to see who can create the most elaborate display. In the 13 days leading up to Christmas, 13 cheeky troll-like characters, named the 'Yule Lads' come out to play with the children of Iceland. They wear traditional Icelandic clothing, are extremely mischievous and have names that represent their personality, for instance, their is Kertasníkir (Candle-Stealer) and Bjúgnakrækir (Sausage-Swiper). Over the 13 days of Yuletide, children place their best shoes out by the window and each night a different Yule Lad will visit, leaving treats and toys for the nice children and rotting potatoes for the naughty children.